Girl Kuripot Girl Kuripot: Win a Trip for 2 to Palawan! This is a chance to win a 3D2N trip to Palawan for 2 people from Ely's Planet. To join, you must like and follow then post on Facebook and Twitter. Don't forget to comment. The trip includes roundtrip airfare to Puerto Princesa, accommodation, an Underground River tour, a City Tour, a Picnic Lunch, etc. The giveaway ends before September 30, 2012! 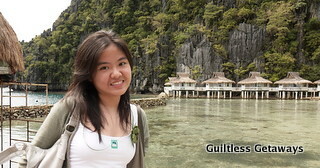 Click here to join the Ely's Planet 3D2N Palawan Adventure. Have you been to Puerto Princesa, Coron or El Nido? Which one do you like better? DONE liking the facebook and followed u on twitter :) Ely's PLanet.. Delicious Seoul Story, Win a Trip to Seoul! Taal Vista Hotel, Win a Stay for 2! T+L, Win a Trip to Nongsa! Win a Trip to Thailand, CDO, Palawan or Boracay! Bake a Cake, Win a Trip to New Jersey! Win an Overnight Stay in Ortigas! T+L Conrad Bali, Win a 3N Stay in Bali! Win a 3N Stay at the Four Seasons! Win a Trip to Hilton Hotels! Win a North Peak Backpack! Win a Travel GC from Budget Biyahera! Stay Far East Singapore, Win a 3D2N Weekend Stay! Win a Roundtrip Flight from Ironwulf!